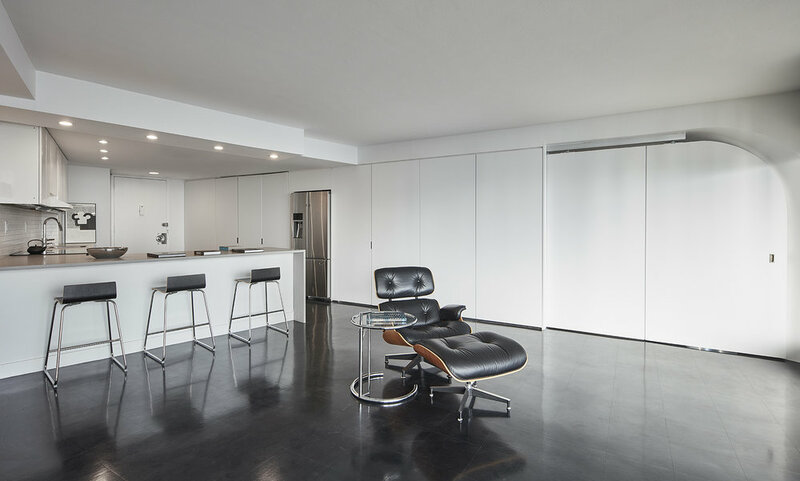 The MC01 project is a renovation of a one-bedroom unit in the iconic Marina City complex (1959–1967) in Chicago designed by Bertrand Goldberg. 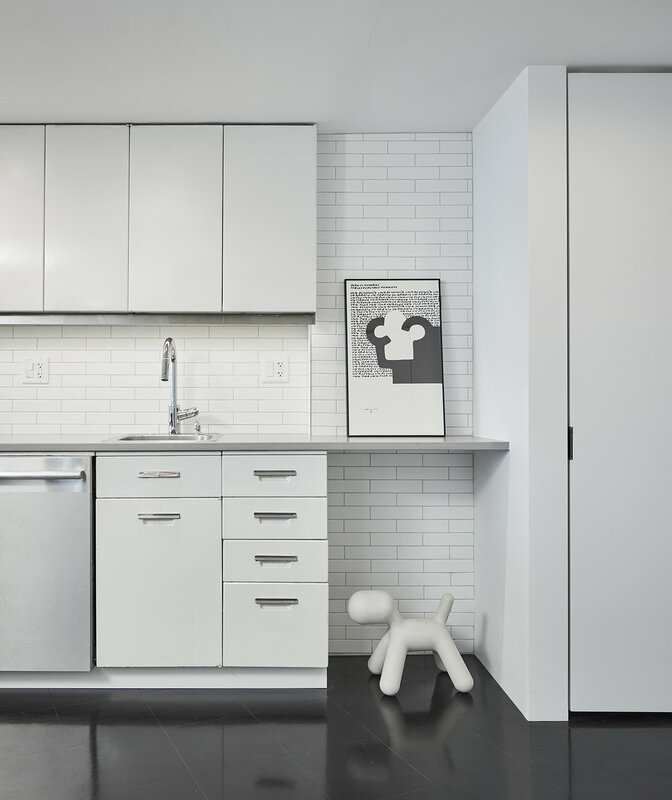 Previously renovated by a former owner, the unit had been divided into a series of disconnected spaces with multiple materials and finishes that had diminished the integrity of the original space. Our project reintroduces a spatial clarity to the unit, reorganizing the spaces and minimizing the colors and materials used, as well as building upon key aspects of the original design by Goldberg such as its structure. The unit is organized along a reconfigured wall that runs from the entrance until the balcony. The wall conceals closets and doors, allowing the bathroom and bedroom to be connected or separated from the rest of the house as needed. A new 7’ long sliding door between the bedroom and living room allows the visual connection between both spaces and maximizes the view of the Chicago River and skyline. The new continuous black floor unifies all the areas in the house, blending spaces and activities. It also reintroduces the original black tile floor that all the units in Marina City featured when the building opened. The oversized L-shaped countertop in the kitchen acts as a food preparation area, dining table, and work area. A close attention is paid to the details, concealing supporting elements and highlighting key features of the house. Overall, the careful spatial reorganization of the unit and selective use of materials and colors creates a remarkable home that highlights features of Goldberg’s original design and the city of Chicago.